Revontheus - "Oh well… shall we begin?" Revontheus - "On your knees, I want you to beg for mercy." 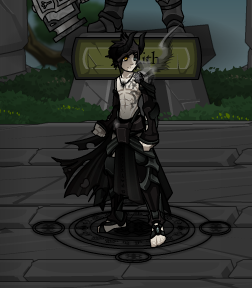 This character is themed from Revontheus from AdventureQuest Worlds. One Void Reflection card was replaced by a Mark of Death card in Young Revontheus' deck on 2/5/15.